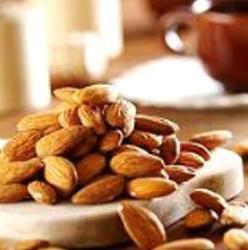 Our organization, Aromatic Herbals Private Limited was established in the year 2010 and proved itself as a well reputed supplier, processor and wholesaler of Natural Essential Oils and Herbal Products. Located in Kolkata, we deal in supplying Natural Essential Oils, Herbal Essential Oils, Aroma Therapy Products and Pure Natural Essential Oils. We process our products under advanced technologies and latest processing tools which ensure the quality, hygiene and purity of the essential oils. We use natural fresh leaves and herbs to process these oils to retain the maximum essential properties intact. Further, our team of experts test all the products under certain parameters to ensure that the international quality is followed. Our products are highly used in food processing, household, cosmetics and pharmaceutical units. 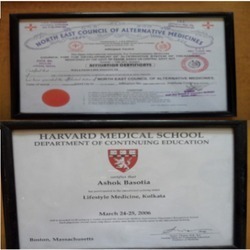 Under the able guidance of our mentor Dr. Ashok Basotia we have gained huge recognition in the market. With his vast experience, strong business acumen and leadership we have reached the peak value of success. 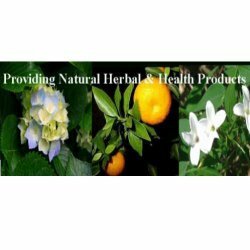 Supplier and Trading of Natural Essential Oils and Herbal Products. Go through the attachment for more details of Certificates. Our organization is led by our mentor Dr. Ashok Basotia, who is an eminent person in the field of herbal and health science. With his vast experience in aromatherapy and health and beauty, he has opened new opportunities in the field of herbal and health training. 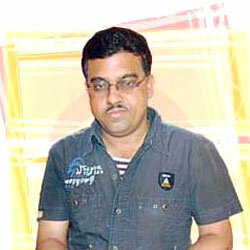 In the year 1996, he founded Indian Institute of Aromatherapy & Natural Care. This institute offers several short term and long term health and beauty training programme to the individuals. Persons trained from this institute are doing excellent performance in India, Australia, Italy, Dubai, Bangladesh, USA, UK and many other countries. Excited by the remarkable performance of his training center, Dr. Basotia established another institute called Wellness life Institute. The training center is provided with state-of-the-art audio visual equipment such as computers, slides and multimedia projectors. Students after passing out the practical training program of the institute can start their own full fledged healthcare and beauty organizations. Find attachment for details of price list. Our company has been involved in processing and trade of a broad array of herbal therapy products, essential oils and aroma therapy courses. The finished array of our company is extracted from pure and rare herbal plants( ginger grass, lime, peppermint) using latest extraction technology such as Gas Chromatography. The complete assortment finds wide application in processing of herbal cosmetics, soaps, delicious Indian and continental food. We are empowered by a team of highly skilled and dedicated professionals who have vast experience in their respective domains. They work in proper synchronization with latest market trends and strategies which help us to process the products according to the modern trends prevailing in the market. They also establish a good network with our clients which further help to understand their choice and requirements. Due to the purity and exceptional nutritional values, our products are broadly used in various sectors. Our product range is highly appreciated due to its purity, long shelf life and hygiene. Due to the presence of modern oil extraction unit we have produced quality range of essential oils. We have established a modern oil extraction unit which undertakes the entire processing of oils in an efficient and smooth way. This unit is equipped with modern machineries and technologies which ensure efficient processing of Herbal extracts. With our best quality herbal products and essential oils we have made a dominating market in the national as well as international markets. Further, our modern oil extraction unit, extensive R&D and economic price have helped to acquire the leading place in the industry. Due to the quality products, timely delivery and economic price we have gained a large clientele across the market. Our products always comply with national and international quality products and ensure high quality, purity and nutritional values. Further, our products are safe to use, has long lasting aroma and are very accurate in composition. The entire product range is Standard Herbarium Center and CSIR Lab certified, which is a testimony to our high quality & purity standards.